This summer has been truly amazing – scorching heat across the country, World Cup fever for everyone other than Scotland, but most exciting for us here at Disruptive Insight, a belter of a festival season. But who were the winners and losers during this season? How can brands engage more people at music festivals? There are lots of reasons a brand may wish to partner up with a music festival, such as greater brand awareness, product sales at the festival itself or harnessing positive associations from involvement in a particular festival. 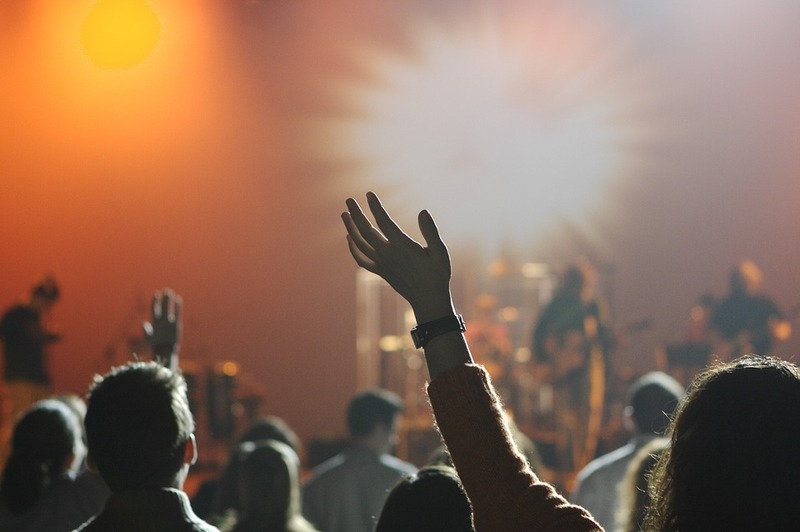 Using Brandwatch, we looked at a month’s worth of festival banter for four festivals across the country, pulling out key partnership chat and insights. We focused on each festival’s ‘top partner’, which we have defined here as the one with the most mentions on social media of any of that festival’s listed partners. Of the partners above, only one of these had naming rights; Barclaycard. The others would have made a significantly lower contribution on a monetary scale to the festival rights holder in comparison, however, this is where they can really spend their budget on activation and engagement to try and gain the same traction as the high investors to achieve their business objectives. We looked into the huge impact that can come from naming rights, the importance of producing engaging and relevant brand activations at festivals, and the challenges of developing an influencer strategy. Barclaycard is the naming rights sponsor for BST Hyde Park and, of all the partners we looked at across these four festivals, it had by far the most mentions on social media. The most popular hashtags in posts referencing Barclaycard? #bsthydepark and #barclaycardbst. Festivalgoers therefore recognise a strong association between Barclaycard and the festival itself. This is further reinforced by the content, where punters share their amazing festival experiences and reference Barclaycard in the same post. But it wasn’t just the Barclaycard name that attracted attention on social. They also received praise for their engaging activations, such as a ‘Stage Dive’ promotion within their purpose built 400 capacity on site ‘Perk Park’. An activation which allowed fans to unleash their inner rock star, by, well…stage diving (in a safe environment), with the whole thing captured in 360 motion for ultimate shareability on socials. Punters see Barclaycard as a provider of amazing festival experiences, supporting the idea that “Barclaycard presents British Summer Time”. What makes a successful brand/festival partnership or activation? There is no easy answer to this, as every sponsor has their own business objectives, but one thing that can drive positive engagement is when a partner can meet a consumer need or provide them with a valued service. Not only is BBC Alba practically supporting the festival by providing a key service that is highly valued by fans, it is also encouraging future attendees and widening Belladrum’s audience beyond Scotland’s borders. It’s colloquial, connecting authentically with punters and the general public who would affectionately refer to the event as ‘Bella’. It unites event (Bella) and partner (BBC) in one hashtag. It sounds like BBC Alba, creating a strong association with the underlying brand. It’s being used on social media, and not just by BBC Alba themselves. It’s fairly small scale, but has become a place around which conversation about the event and, particularly, the broadcast of the event, is organised.. Thinking strategically about your hashtags as a partner can go a long way to fostering positive social media engagement. Ultimately, BBC Alba have ‘owned’ the festival in their own right. Not every brand is as lucky as BBC Alba – what about service brands? Utilita did a grand job of providing a service for punters with their Powertree, a location for people to charge up phones in the shape of a giant tree, with an inbuilt DJ booth complete with line-up, and bar. A charging point is a great idea for an energy supplier to provide at a festival, leveraging their existing brand identity to offer practical help to festivalgoers. They could have increased their engagement for this activity by, for example, more strategically using hashtags and copy to attract positive conversation on socials. Influencer marketing is increasingly popular, and with good reason. Using influencers in a campaign can increase social media reach, raise awareness and give authenticity to your brand. However, no campaign is the same, and the specifics of any influencer strategy will depend, not only on the context of the campaign, but also on the goals of that campaign. Carlsberg is a great example of this. Their major activation at RiZE Festival was the ‘Danish Quarter’, described on Carlsberg’s website as “our hygge headquarters” with “a buzzing bar, relaxing chill out zones and stylish seating areas to relax with your friends, beer in hand”. Although #thedanishway was a popular hashtag, few of these posts were from punters. Rather, its popularity appears to have come from an influencer strategy by Carlsberg. The hashtag cloud shows a number of terms relating to fashion e.g. #menwithstyle, #londonfashion, #festivaloutfit. An analysis of this content suggests that this is the result of a fashion-related influencer campaign by Carlsberg, with many of the chosen influencers ‘thanking’ Carlsberg for the experience at the festival. If this is the case, such an influencer campaign could have possibly been used to raise awareness of both Carlsberg and RiZE among the fashion community. It also creates a brand association between Carlsberg/RiZE and fashion, suggesting that Carlsberg and RiZE are both slick, styled and fashion-forward. In order to reach a broader audience, Carlsberg could have engaged with beer enthusiasts or fans of the bands playing the festival (or better still, both) to raise awareness within their specific sectors, which could potentially lead to higher engagement from festivalgoers on social, ultimately leading to purchase of their product. So, how can brands engage more people through festival partnerships? Use influencers strategically – what community do you want to reach and for what purpose? But, essentially, any partnership strategy will be slightly different, depending on the brand and the festival with which they want to partner. Any brand seeking to become a festival partner should be clear about what they want to achieve with this partnership, whether that is greater brand awareness, product sales at the event or something else entirely. What activations would work best? How can the brand authentically connect with the festival audience to drive deeper engagement? These are complex questions, which would need to be addressed by a tailored strategy.